Here's the latest comic for Investing.com. This week's topic is the recent corruption allegations against FIFA officials and whether or not FIFA president Sepp Blatter will also be implicated in the pecuniary impropriety. 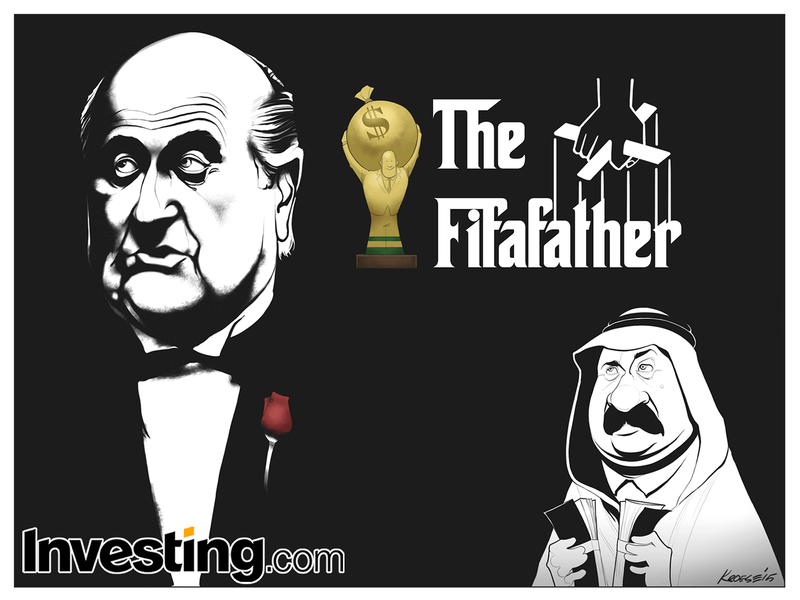 The team at Investing.com asked me to draw a parody of the movie poster for "The Godfather". They asked me to replace Marlon Brando with President Blatter. 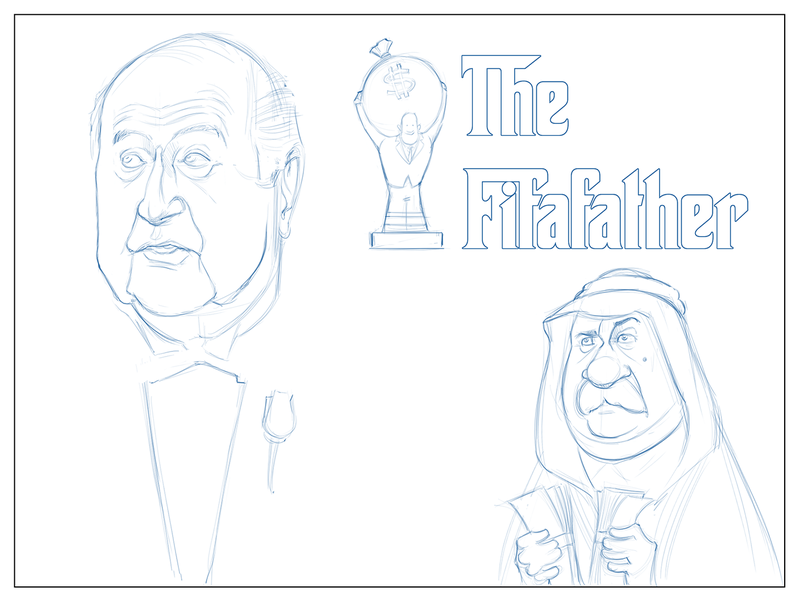 I was also asked to include a parodied version of the World Cup trophy, along with a Qatar Sheik in the background holding wads of money. It's always interesting to parody an existing style or piece of art, particularly one as iconic as this one. 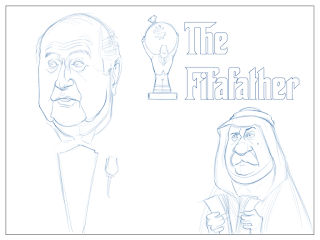 It was tricky to keep the comic aesthetically recognizable and have Blatter's caricature be recognizable at the same time. It meant drawing and shading in a way that's significantly different from what comes naturally to me. Still, it was a fun challenge and I think it turned out ok. It did end up looking a little bit like Frank Miller meets Tintin, though. The sheik I drew ended up looking unintentionally like Thompson and Thompson dressed in their "disguises" in "The Crab with the Golden Claws" (possibly my favorite Tintin book of all time other than "Tintin and the Blue Lotus"). Overall, this was a pretty fun comic. Crazy different from any of the others before it. But they say variety is the spice of life, so...there you go.